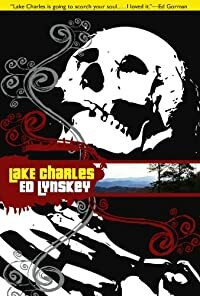 Lake Charles by Ed Lynskey, a Mysterious Review. Review: Set in eastern Tennessee in the late 1970s, Ed Lynskey's stand-alone novel effectively makes use of its setting and time period in the tautly crafted suspense thriller Lake Charles. Brendan Fishback is out on bail after being arrested for, if not actually causing than having failed to prevent, the murder of his companion, Ashley Sizemore, while they were both in a drug-induced state. Deciding he needs to get away, he and his twin sister Edna and her husband Cobb pack up a couple of fishing boats (for the boys) and a jet ski (for Edna) in his 4x4 and make their way to Lake Charles. After unloading at an abandoned marina, Edna heads out on her own while Brendan and Cobb try to land a couple of bass. As the day draws to a close, they return to Brandan's truck expecting to find Edna already back … only there's no sign of her. A quick tour of the lake yields nothing. Thinking she may have taken off into a stand of laurel — for reasons neither can imagine why, but it's the only place they can't readily search from their boats — they set off on foot, only to be quickly targeted by someone with a shotgun. As Brendan wryly notes, "Lake Charles isn't the sleepy dell everyone figures it is." "State noir" seems to be somewhat in vogue now, with crime novelists penning noirish-style novels set in various states. It doesn't always work, and often comes across as more contrived than not, but Lynskey's Lake Charles really nails "Tennessee noir", making the state more than just a backdrop for the plot, and making it appear to be a significant participant in how — even why — the action plays out the way it does. And action is indeed in abundance. The storyline is fast-paced, twisty without being convoluted, and plot points that are introduced early are cleverly integrated later. In short, Lake Charles is a prime example of "state noir" done right. Acknowledgment: Wildside Press provided an ARC of Lake Charles for this review.